Marlborough Vintners Hotel, New Zealand. If it’s food – and especially wine – you’re after, there aren’t many places better suited than New Zealand. Known for its particularly iconic slew of delicious white wines, it’s no surprise they’re highly sought after the world over – and though delicious when sampled anywhere, there’s nothing quite like visiting the regions from which they hail. The Marlborough and Nelson Tasman regions of the South Island provide some of the best wine touring experiences in New Zealand. Here’s a guide to visiting the Top of the South. In the Marlborough wine region it’s easy to feel a little heady – and it’s not just the effect of the intense, complex and sensual Marlborough sauvignon blancs that have made this small northeastern corner of the South Island a star destination on the world’s wine map. It’s also the scenery: the surrounding mountains that shelter the vines from climatic extremes; the rocky, braided rivers on whose flinty alluvial plains the grapes thrive, and the vines themselves, stretching for kilometres in every direction and glowing near-psychedelic green in the sun. This beautiful and bountiful part of New Zealand is the best place in the world for growing sauvignon blanc and the wines here taste like nowhere else on Earth. In Marlborough, geography and technology neatly solve the wine tourist’s perennial problem of where to go and what to taste. Although the landscape of undulating hills and wide valleys has three winegrowing sub-regions, the majority of cellar doors (37 in all) are clustered around the town of Renwick in the Wairau Valley 12 kilometres west of the main town of Blenheim. The flat terrain of the valley floor makes for blissfully easy taste-touring and technology assists travellers further with Visit Us, a section on the mobile-friendly website of New Zealand Wine that provides fully searchable information on cellar door listings, dining and accommodation options, tours and other experiences in Marlborough. Wine Marlborough’s website also has a handy interactive wine trail map. Another perennial problem for wine tourists – drink-driving – is solved by full- or half-day self-guided or small-group guided biking tours operated by several local providers, including Explore Marlborough. Tours typically visit five or six boutique wineries chosen by knowledgeable guides and include a relaxed lunch. The terrain is mostly flat, and pick-ups and returns to accommodation make the experience even more stress-free. If it rains, tours are made by minibus. One thing to keep in mind while touring in Marlborough is that although 85 per cent of the vineyards are devoted to the production of world-class sauvignon blanc, the region also produces first-class pinot noir, chardonnay, aromatic wines and méthode traditionelle sparkling wines. A day of cellar door-hopping might also seem sufficient at first, but Marlborough is a place where visitors tend to linger. Brancott Estate Marlborough, New Zealand.Unsurprisingly, Marlborough is a haven for food lovers. Farmers’ markets, artisan producers, food trails and regular food festivals dot the landscape along with restaurants and eateries ranging from bean-bag-on-the-terrace-style relaxed to award-winning degustation and à la carte dining. Vineyard restaurants in Marlborough attract international- and Michelin-level chefs and the cuisine is innovative and based on seasonal local ingredients. Dining options in close proximity to Renwick include Brancott Estate (try lunch with matched wines); the Bistro (lunch and dinner) and Gourmet Restaurant (dinner only) at Hans Herzog Estate; Rock Ferry Cellar Door & Cafe (seasonally inspired organic cooking); Wairau River Wines (the blue cheese soufflé is wildly popular) and Allan Scott winery (well known for its seafood chowder). If wine touring whets your appetite for seeing and tasting more, Marlborough can oblige with a host of activities including mountain biking, hiking, fishing, scuba diving, food, scenic and wildlife cruises, or just relaxing on a beach. You’ll find many of these activities in the Marlborough Sounds, a beautiful maze of ancient sea-drowned valleys in the north of the region that Captain Cook used as a base on all three of his great voyages of exploration. The Sounds are a sanctuary for wildlife and specialist cruise operators such as e-Ko Tours can take you on dolphin swimming and viewing, birdwatching and whale-watching excursions with the chance to step ashore in pristine settings. For a back-to-nature experience with a twist, Pelorus Eco Adventures operates a guided inflatable kayaking tour along the beautiful Pelorus River where the scenes for the wild river barrel scene in The Hobbit – The Desolation of Smaug were filmed. Marlborough is renowned for its delicious seafood, particularly salmon and greenshell mussels, and on the Marlborough Tour Company’s Seafood Odyssea Cruises to aquaculture farms, guests enjoy platters of sashimi-style Regal salmon, steamed Cloudy Bay clams and steamed greenshell mussels paired with local Marlborough sauvignon blanc. Calorific guilt can be expunged on the Queen Charlotte Track, a two-to-five-day hiking or (seasonal) biking experience of the region’s waterscapes that a seamless network of cruise and pack transfers lets you tackle in easy sections if you wish. Tucked away among landscaped gardens near Renwick, five-star Marlborough Vintners Hotel offers 16 one-bedroom suites with views over the vines to the Wairau River and Richmond Range beyond. In Blenheim, five-star Chateau Marlborough, a two-minute walk from the town centre, has a good range of accommodation from a two-bedroom penthouse to one-bedroom apartments and studios. If seclusion in the Marlborough Sounds is what you seek, Punga Cove retreat at Endeavour Inlet in Queen Charlotte Sound is accessible by scenic road or water taxi services from Picton. Blenheim is 309 kilometres by road north of Christchurch and 115 kilometres from Nelson. Air New Zealand operates daily services to Marlborough Airport from Auckland and Wellington and the daily Coastal Pacific train service between Christchurch and Picton stops at Blenheim. It’s tempting to travel the 115 kilometres north-west from Blenheim to Nelson in a comparative frame of mind, but like everyone else you quickly discard those thoughts when you arrive. Nelson Tasman does everything its own way, as it has always done, with great success. It’s a paradise for potters, painters, alternative life-stylers, food lovers and wine lovers who are drawn to the region by its beautiful scenery, fertile plains, golden-sand beaches and high sunshine hours. The regional city of Nelson has a strong artistic vibe and a thriving dining scene, and across Tasman Bay to the west is Abel Tasman National Park, the smallest and perhaps most beloved of all of New Zealand’s national parks. Compared to Marlborough, Nelson Tasman is a small wine region with only 22 wineries featuring on its Great Taste Trail, but it makes lovely sauvignon blanc, chardonnay, aromatics, dessert wines and pinot noir. The history of winemaking in the region is long, having begun with German settlers in the mid-19th century, and it continues to evolve with the introduction of new varieties such as Montepulciano. All but a few vineyards are located along the coast of Tasman Bay west of Nelson city and there are two sub-regions, each of which can be toured in a day. The Waimea Plains sub-region near Richmond, 13 kilometres south-west of Nelson, produces perfumed pinot noirs, rich and expressive chardonnays and vibrant aromatics. The Moutere Hills sub-region 20 kilometres further west is where winegrowing in the region first commenced. Slightly warmer and wetter than Waimea, it produces wines of complexity and depth. For the energetic, there’s the Great Taste Trail, an off-road cycling route that is part of The New Zealand Cycle Trail / Nga Haerenga and which showcases the area’s coastal and inland scenery as it passes vineyards, breweries and orchards. As in Marlborough, there are expert operators of independent and guided tours like Wheelie Fantastic’s Moutere Wine and Artisans tour, Nelson Tours and Travel which offers a range of personally guided van tours, and Wine, Art and Wilderness which specialises in luxury tours to boutique family-run vineyards. Boatshed Cafe Nelson. Image via Stephen GoodenoughYou won’t go hungry while wine touring in Nelson Tasman as the majority of cellar doors offer food of some kind including platters, cheeseboards, home baking and rustic fare. 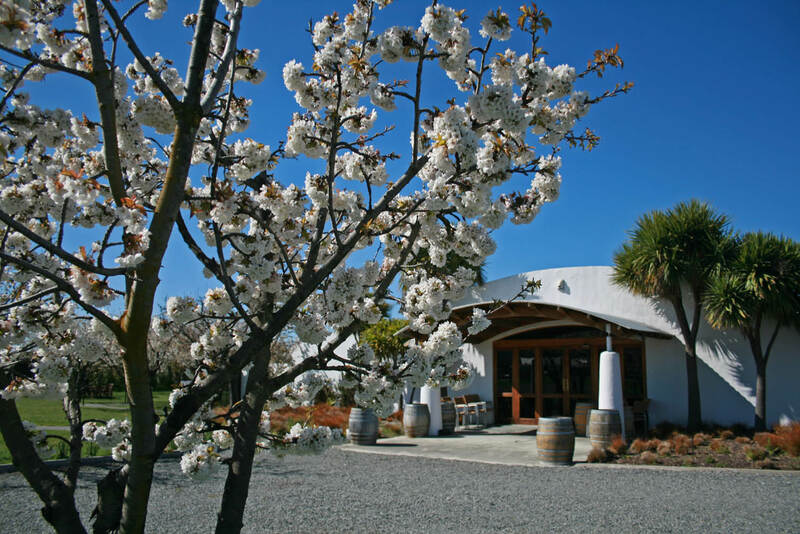 The region does not have destination vineyard restaurants in the same way that Marlborough does but two essential stops on any tour should be Seifried Estate in the Waimea Valley and Neudorf Vineyards in Upper Moutere. These long-established and much-awarded wineries will show you why touring in Nelson Tasman makes for a memorable wine holiday. In Nelson, highly awarded Hopgood’s & Co. in Trafalgar Street is a travellers’ favourite that serves modern, seasonally based bistro-style food. The nearby Cod and Lobster Brasserie specialises in seafood and regional fare including beef, lamb and venison. Urban Eatery in Hardy Street is run by a Michelin-trained chef and no reservations are needed. On the Nelson waterfront, the iconic Boat Shed Cafe is a must-do, as is Jellyfish Restaurant & Bar at Mapua Wharf in Mapua. In Kaiteriteri, Kai Restaurant & Bar is the pick, as are Hooked on Marahau and the gourmet burgers at The Fat Tui food caravan in Marahau. No visit to Nelson is complete without a visit to the World of Wearable Art and Classic Cars Museum in the birthplace of the globally famous annual design competition. Thirty-two kilometres west of the city, Mapua Wharf on the Great Taste Trail is home to a vibrant collection of restaurants, cafes, galleries, stores and attractions. A trip to the region is not complete either without a visit to iconic Abel Tasman National Park: Wilsons Abel Tasman operates a complete range of guided walks, tours, scenic cruises and lodge accommodation. For the more active, Abel Tasman Kayaks offers a range of guided adventures and Abel Tasman Sailing Adventures enables visitors to experience the park by catamaran. Located on the Maitai River which runs through the heart of Nelson city, Trailways Hotel Nelson is a good base from which to explore the cafes, theatres, galleries and shopping of Nelson’s CBD, and further afield. Across the road, DeLorenzo’s 30 luxury studio apartments include seven interconnecting apartments and four accessible rooms. Just a few metres from the harbour on the Nelson waterfront, Wakefield Quay House is a heritage 1905 villa enjoying a new career as a stylish luxury B&B where host Woodi serves canapés and fine local wines and beers on the villa’s seafront deck. For close proximity to the start of the Great Taste Trail and to the beach and airport, the Grand Mercure Nelson Monaco is a good pick. On the western side of Tasman Bay, the beachfront Kaiteriteri Reserve Apartments at Kaiteriteri are next to the water taxi departure point for Abel Tasman National Park. A little further up the coast at Marahau, Abel Tasman Lodge offers a small range of spacious private chalets set in tranquil gardens. In the heart of the national park, behind a magnificent beach recently purchased by the people of New Zealand in perpetuity, is iconic Awaroa Lodge. Nelson is 115 kilometres by road from Blenheim and 415 kilometres from Christchurch via the scenic state highways 6 and 7. The city has daily air connections via Air New Zealand to six other New Zealand centres.